New livestreaming apps Meerkat and Periscope help people share snippets of their lives—but they also gobble down data. Enough data that you might blow past your data cap. If you’re serious about streaming, you might need a bigger data plan! When we put both apps to the test, we measured usage of over 250 megabytes of data an hour for Periscope and over 400 megabytes an hour for Meerkat. Other testers have reported up to 400 megabyes per hour for both apps. What does that mean? Well, the average person in North America uses around 465 megabytes of data a month, according to Sandavine’s global internet access report from 2014. 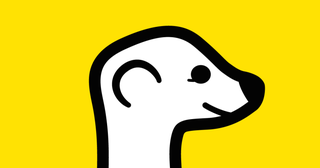 That number’s likely slightly higher this year, since it’s been steadily increasing, but still: moderately heavy Meerkat users will blow through as much data in a single hour as most people use in a month. Now, livestreaming isn’t the only data-gobbling genre of app. Streaming music and video are also cap-busting culprits—you can easily chew through 115MB per hour of high-quality streaming audio, or 1GB per hour of Netflix at standard definition. But recording and instantaneously streaming video could actually be the most taxing thing you can do with an app. You know not to watch Netflix too much on your data plan, but Netflix doesn’t hinge on capturing unexpected moments when you’re out and about in the world. With Netflix, you can plan to use Wi-Fi instead. These apps are still relatively niche and too new to officially declare anything more than a fascinating fad—but if they take off, it’s likely your phone bill will feel the pain. Unless you have an unlimited data plan. Hold on to that sucker for as long as you can. Thanks to Michael Hession and Meg Neal for testing Periscope and Meerkat. They are doing the Blog Lord’s work.